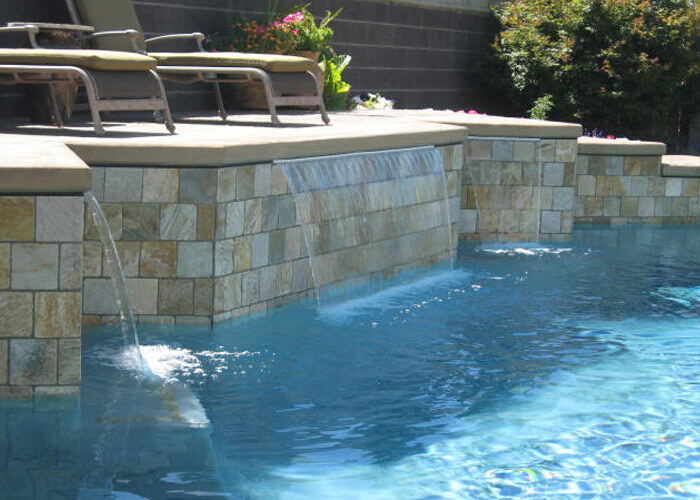 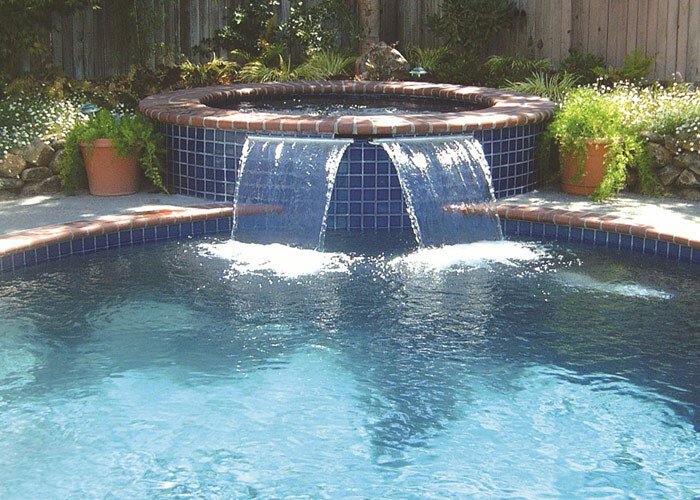 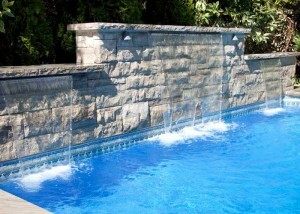 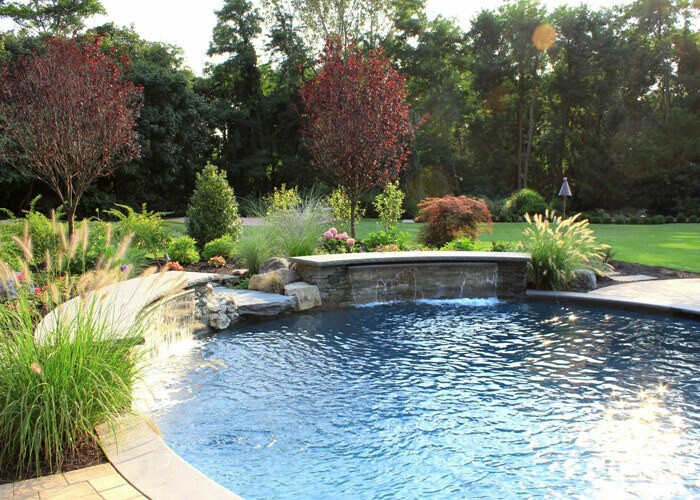 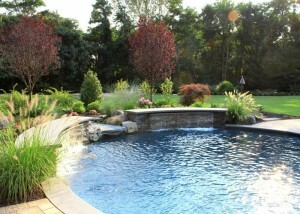 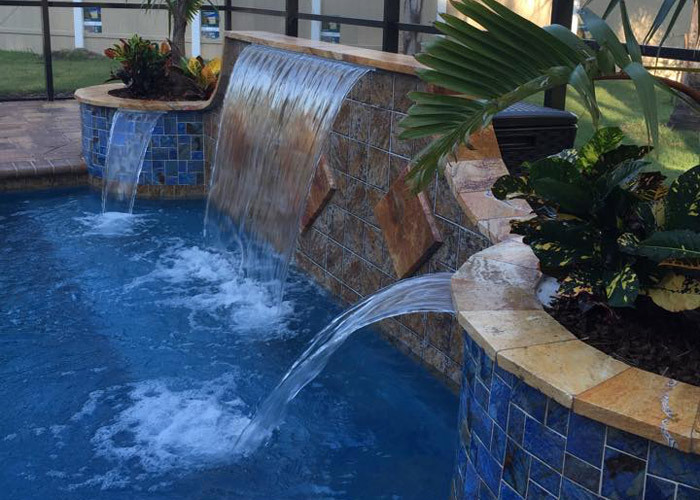 A sheer descent provides a continuous sheet of water flowing into your pool. 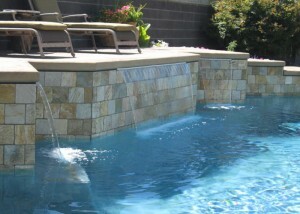 Our clients love the look and sound of these unique features. 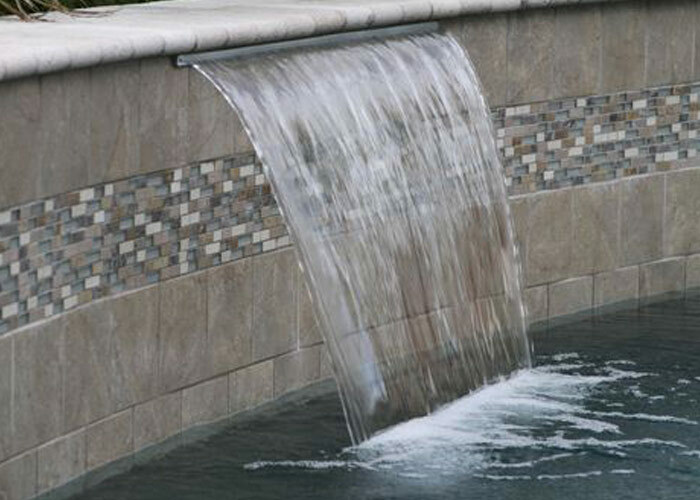 The beauty of the sheer descent is enhanced by the inconspicuous opening that provides the thin sheet of cascading water into the pool. Kids love to swim under these features! Lighting can also be added to accentuate the beauty of these relaxing features.